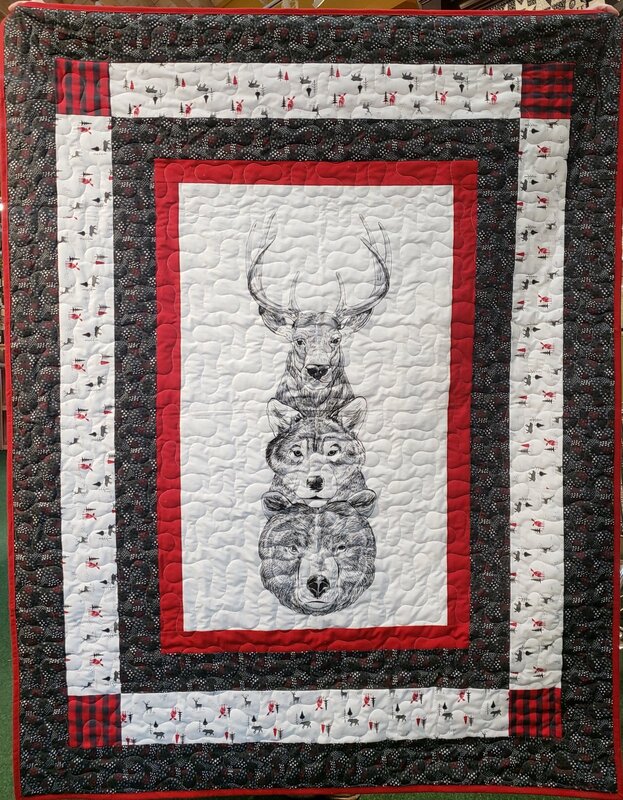 Includes full instructions plus the fabric for the top and binding for one throw quilt that finishes 51" x 71". If edge to edge quilting is what you'd prefer, cuddle fabric would make an amazing and super soft backing. This quilt requires 3 1/3 yards of cotton backing if non-directional. Directional backing fabric requires 4 1/2 yards. Cuddle backing requires a 2 1/3 yard piece.